It takes just a 35 minute train journey from London to experience the wonders of the Kent countryside. 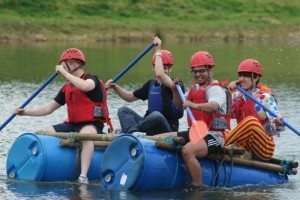 Our delightful venue offers the very best in corporate team building and is designed to challenge every participant through a multitude of activities during a whole day or half a day. It’s a shame pictures cannot demonstrate the sound at these events, as the adrenalin kicks in so does the excitement in the voices of all involved! The raft building can arguably be one of the most tense activities as the aim is to hopefully get to the other side of the lake dry! Equipped with just barrels, rope and wooden poles teams have to draw upon their creative side to successfully build a raft. Once this is completed whoever reaches the other side first is the winner. 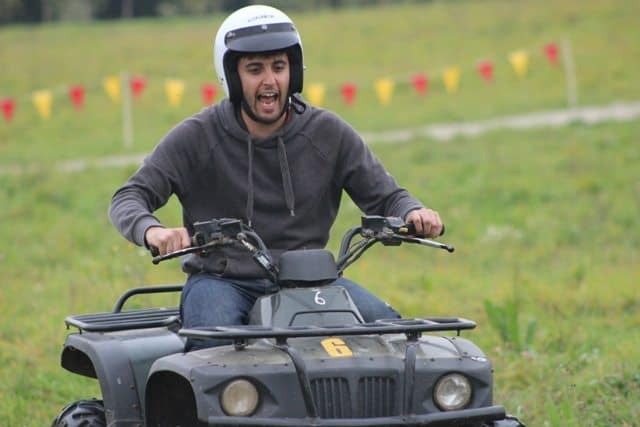 Another activity which is arguably more adrenalin filled is the Quad Bike Safari. 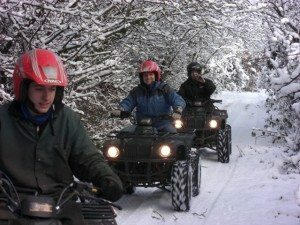 As you can guess from the name you are transported on an adventure exploring various woodlands and Kentish fields on your very own quad bike. With 250 acres of orchards and open fields there is a lot to take in on your way round. 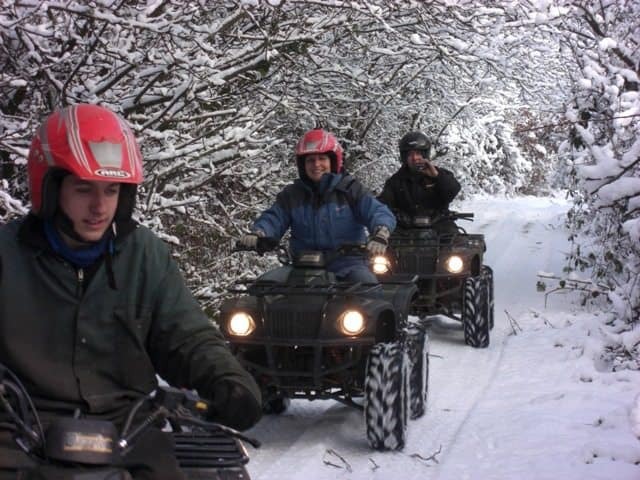 The good thing about the quad bike safari is that it can be done at any time of the year therefore even making it suitable for “Santa’s Motor Safari”. An alternative to the Quad Bike Safari is the Quad bike Obstacle Course which takes your skill to the next level completing various tasks around a purpose built course to enjoy a thrilling high speed, power sliding course around sharp corners. Believe me this is enjoyed by everyone and draws upon the competitive side of the team. 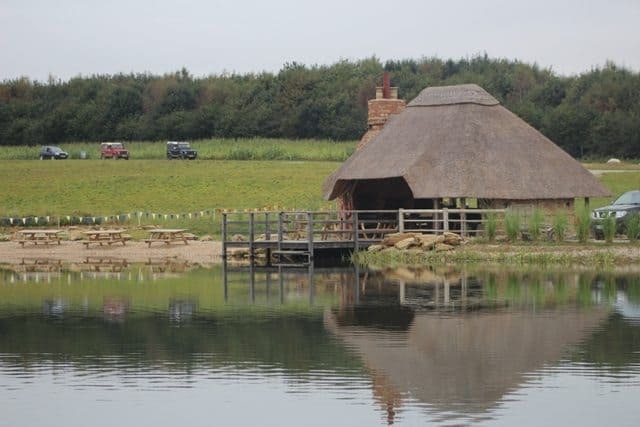 There are numerous other events such as 4X4 Driving, Apache Rally Racing, Clay Pigeon Shooting, Reverse Steering, Target Archery and a number of Sporting Trials Cars. It is clear where the name for the event came from! 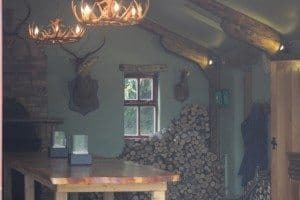 Set amongst glorious Kent Countryside, in my opinion, this venue is perfect for a Christmas event. The Hunting Lodge provides a magnificent atmosphere to get everyone into the festive spirit. A toasty log fire awaits along with delicious mince pies and mulled wine with the addition of Christmas songs in the background, you couldn’t get a better setting to celebrate what 2014 had to offer and to bring in the New Year in style. “We had a great day out and it is true to say that the centre and the activities exceeded expectations” – Peter Nisbet.